Four styles of north arrows are available for plotting. 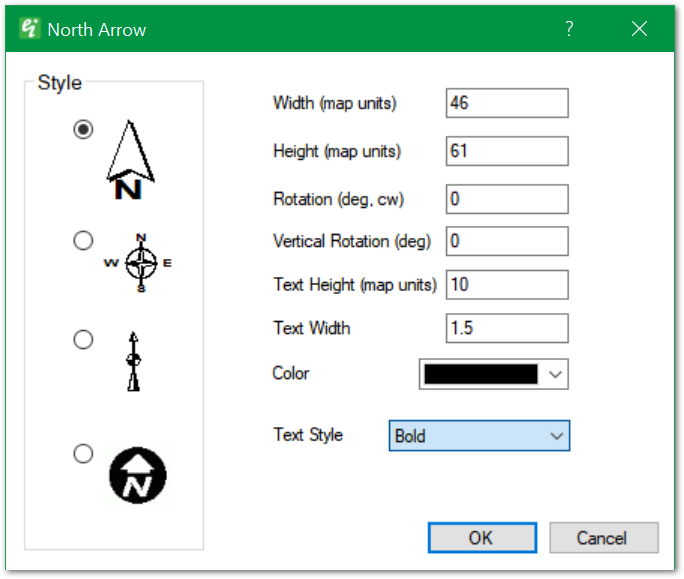 Select Insert> North Arrow from the main menu and a dialog box will appear to set the north arrow features. The arrow may be customized by varying the arrow color, height, width, rotation and text style.